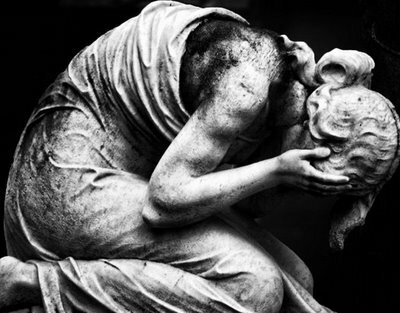 How does the Stoic grieve? At the 2013 “Stoicism in Everyday Life” London public event, Richard Sorabji disagreed with the Stoic view that death is not a bad thing and that we should not grieve at the loss of others. He thought it was better to be “completely shattered” at the death of those we love than to be detached from them in life. What could the Stoics say in response? First, Stoics do not encourage us to be emotionally detached from other people and indeed they urge us to do all we can for them during their lives. They present parental love as a primary example of what they see as the universal human motive to care for other people, and they also endorse other kinds of love which are consistent with leading an ethically good life. Marcus Aurelius´ Meditations bring out vividly the pleasure a Stoic can rightly take in the good qualities of those we know and care for. Nor do the Stoics think we should aim to be free from all emotions – only emotions which are inconsistent with following our ethical principles. But shouldn´t acceptable emotions include grief at the death of those we have lost, as Sorabji says? Not on the Stoic view. Here, we need to hold in mind the fundamental distinction stressed by Stoics such as Epictetus between what is and is not “up to us” or “within our power”. It is “up to us” to care for those we love during their lives (and ours), such as sick children, as Epictetus reminds us in Discourses 1.11. It is not “up to us” (“within our power”) to ensure that by doing so we will prevent their death (or ours). Death is a natural process that will – inevitably – occur to the one we love and us and everyone else. It is also one we should try to accept, as an integral part of the order of nature, even though it is also part of our in-built human nature to regard it as “preferable” (in the Stoic sense) that this should not happen. This profound two-fold response, caring for others while accepting the prospect of their death (and ours) is brought out in a widely misunderstood passage in Epictetus, Handbook 3, and the longer Discourse 3.24 on which this is based. Epictetus recommends kissing your child, wife or friend, while remembering that they (or you) will inevitably die first and thus break the bond between you. But he does not go on to advocate emotional detachment from them, nor does this underlie the Stoic view that grief is misplaced. Grief rests on a confusion between what is and is not “up to us”. We can and should recall and value the person who is lost just as we should do all we can for them in life, since that falls “within our power”. But we should not direct our energies and emotions towards the thought that their death is bad, since the fact of their death does not fall “within our power”. Being “completely shattered” in this way, as Sorabji recommends, would only show that our sense of values – and of the underlying facts of human life – are indeed broken or “shattered”. The Stoic view is demanding and less familiar than the one Sorabji advocates. But it rests on a set of ideas that are more coherent and credible than is often recognized. Christopher Gill is Emeritus Professor of Ancient Thought at the University of Exeter. Yes I agree with both Ali and Kath. I lost my husband. Father, Mother and best friend in the space of 18months – my emotions were like a roller coaster particularly for my Mother who was 90 suffered dreadfully and was unable to speak for the last 7 months of her life every night I prayed that she would die and be releaved of this living hell. They all had one common goal – my happiness which is under my control and I have strived to achieve their goal to rebuild my life and move on. Cherishing the memories of their part in my life and enjoying my new very different life. The lack of purpose still overwhelms me now & again but my friendships and practice of modern stoicism and Benidictine Spirituality help me find balance once more. Thank you Professor Gill for bringing together this wonderful team and project and particularly to Patrick for keeping the momentum going! I think it it totally natural to feel absolutely shattered to start with. It is for yourself and not them . Like the contemplation on death they are (out of it) nothing can hurt them now . Your shattered because they are no longer in your life, you can no longer share things with them. Then you can accept it and move on with life . Every now and again it will hit you like a truck, I am not sure you can control that ? Just see it for what it is and let it go again. I think it is much more difficult with someone dying . You can’t wish them dead that doesn’t feel right , you can do everything you possibly can .You have no control, only the acceptance of your own feelings and thoughts. I remember watching the video recording of last year’s Event and this discussion resonated deeply within me also. I could understand how Mr. Sorabji saw problems with the Stoic approach to death and maybe thought it was cold and uncaring. A few years ago I would have been of the same opinion, feeling I had no choice but to be carried along on the emotional rollercoaster of grief brought on by the anguish of bereavement. But having lost loved one after loved one, I realised I could choose to try and end my suffering, without guilt, and follow the advice of the ancient Stoics.